Gilberto F. Oliva Sr., the patriarch of Oliva Cigar Co., a winner of Cigar Aficionado's Cigar of the Year and the maker of such storied cigars as Oliva Serie V, died on Saturday in Miami, surrounded by his wife, children and grandchildren. He was 86 years old. Oliva was born in Cuba and was the grandson of Melanio Oliva, the first member of his family to grow tobacco. Oliva went from tobacco growing to tobacco brokering. He focused on leaf that many growers ignored, including libre de pie, the leaves that grow closest to the ground and are known as sand leaf. Oliva continued to operate even after the Cuban revolution, as the government concentrated on nationalizing larger firms and left smaller ones alone. But by 1964, smaller and smaller businesses were being affected. He knew he had to leave. He left Cuba for Spain, then went to Nicaragua. By 1973, Oliva had three children, and a fourth was on the way. He wanted the new child to be born in America. So he had his seven-and-a-half-months pregnant wife, Carmen, fly to Miami on January 5. She stayed overnight in the airport with her four children, then flew the next day to Elizabeth, New Jersey, where she gave birth to her son José, now president of Oliva Cigar Co.
Gilberto Oliva traveled the Caribbean and Central America, looking for tobacco that could rival what he left behind in Cuba. He grew in various countries, and later moved into cigarmaking, working for Nestor Plasencia Sr. in Honduras. In 1995, Oliva and his son Gilberto Jr. created a cigar within Plasencia's factory. They named it Gilberto Oliva and crafted it with a blend typical of the time: Dominican and Nicaraguan filler, Dominican binder and Ecuador Connecticut-seed wrapper. A year later, they had saved enough to expand and opened their own factory in Nicaragua, shortening the brand name to Oliva. While cigars of all types had sold like wildfire in 1995 and 1996, by 1997 the industry giants had caught up with back orders, leaving the market with far too many cigars. Newcomers such as Oliva faced hard times. Money became scarce. The Olivas were not fond of taking on debt, so they turned to their patriarch's inventory of Nicaraguan tobacco and began making cigars entirely from Nicaraguan leaves to stretch their dollars. The family never again imported filler tobacco. 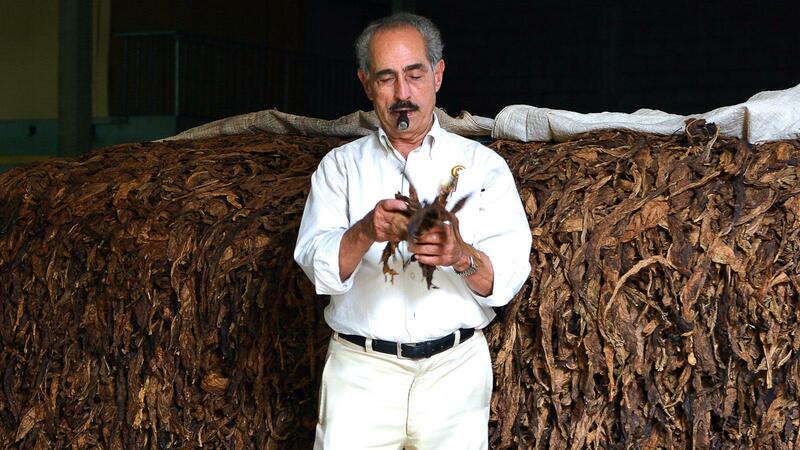 "For one-and-a-half years, [Gilberto Sr.] carried us with his inventory of tobacco," said José Oliva in 2010. "Every year my father continued to grow tobacco and put it away. It allowed us to win people over through the consistency of the cigars we were producing. Right from the beginning, the commitment was always more tobacco." The Olivas may have been forced to make Nicaraguan puros for financial reasons, but that change proved to be a blessing. It pushed the family closer to self-sufficiency and gave it a product that was embraced by the cigar cognoscenti in the United States. The world was falling in love with Nicaraguan tobacco, and Oliva had it to spare. "I have grown tobacco in Cuba, Mexico, Honduras, Panama and even the Philippines," said Gilberto Sr. in 2010. "Nothing compares to Cuba like Nicaragua. Northern Nicaragua enjoys all the natural blessings for great Habano." Oliva was originally known for bargain cigars, but its release of Serie V in 2007 showed the world that it could make ultra-premium cigars. In 2014 the company’s Serie V Melanio Figurado was named Cigar of the Year, putting the company in the realm of the cigar industry elite. In 2016, Oliva Cigar Co. was acquired by J. Cortez Cigars N.V., a Belgian tobacco company. Gilberto is succeeded by his wife, five children and fourteen grandchildren. Funeral arrangements had not been finalized as this story was posted.